Feral Interactive today announced that Total War: WARHAMMER II, the second instalment of the epic fantasy strategy series, will be released for macOS and Linux on November 20th. Originally developed by Creative Assembly in partnership with Games Workshop and published by SEGA for Windows, this is the follow up to the critically-acclaimed Total War: WARHAMMER, also brought to macOS and Linux by Feral Interactive. Total War: WARHAMMER II puts players in command of one of four fantastical Races, challenging them to wage a war of conquest in order to stabilise or disrupt the apocalyptically powerful Great Vortex. The engrossing narrative campaign is set across four strikingly distinct continents: tropical Lustria, icy Naggaroth, the mountainous, ring-shaped Isle of Ulthuan, and the deserts, jungles and savannahs of the sprawling Southlands. A new trailer is available now on Feral's YouTube channel. 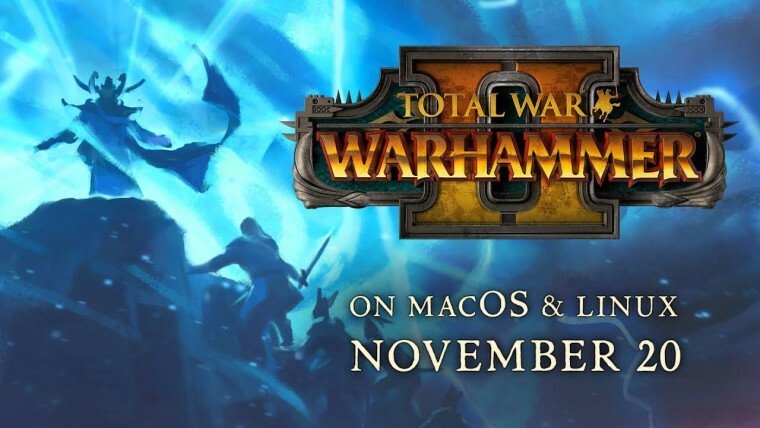 Total War: WARHAMMER II for macOS and Linux is available to pre-order from the Feral Store for $59.99/£39.99/€59.99.